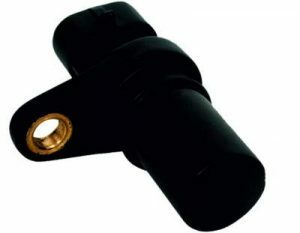 Speed sensor is based on Magnetic Hall effect technology. The main USP of the Product is it is IP67 protected with Extremely High speed functional capability upto 15kHz and upto zero speed on lower end . 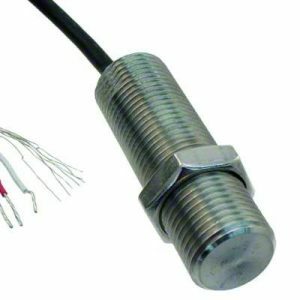 Speed sensor is mainly used to detect the presence of a ferrous / magnetic material and hence being designed considering to count the number of teeth in a Gear Wheel. Housing Can be customised on Project requirements. 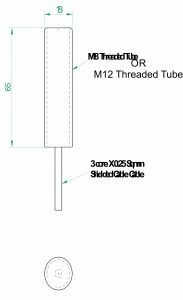 For sensor Best performance we recommend minimum target width of 2.5mm. However smaller dimension target may work but depends on the application and sensor precise mounting. This sensor only detect ferrous / magnetic material. Sensor performance also depends on the air gap between the sensor sensing surface and the target. Sensor is available with inbuilt water sealed connector / Wire harness system.